Keeping people safe at height since 2002. Founded with a simple mission to ensure the safety of workers at height, Safety Technology provide innovative products and services to a range of industries including Utilities, Telecomms and the Renewables sector. Our culture of innovation has put as at the forefront of development in specialist harness and fall arrest solutions, training methodologies and inspection and maintenance, put to work in some of the world most inhospitable environments. We take safety seriously, everyone that uses our equipment, completes our training courses or works at a site we have inspected matters to us. We know that everyone has a home to return to at the end of the day and ultimately it’s down to us to make sure it happens. Innovation and collaboration are part of our DNA at Safety Technology. Whether that’s working with clients to create new harness specifications for their exacting needs or pioneering new training methodologies. We strive to make things better because lives really are on the line. Pushing the boundaries of harness design with the first truly ergonomic harnesses. 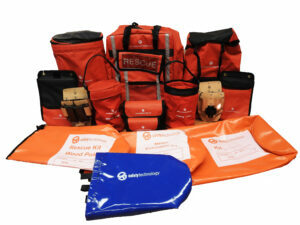 Developed a range of access and rescue kits with major utility. 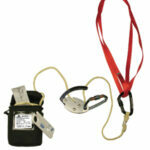 Design and development of arc and flame retardant harnesses with Northern Utility. Development of the Alliance a consortium of off-shore training, inspection and maintenance providers including vessels offering an end to end solution. Iowa lakes project, implementing GWO training and infrastructure development of the biggest training facility in the USA. Safety Technology recognised early on that an end to end solution was the best way to ensure the safety of individuals working at height, whether on land or off-shore. The highest standards of inspection. 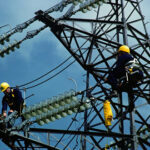 At Safety Technology, we take a proactive approach to H&S inspection. Our mission is to ensure everyone we work with goes home safely 365 days a year. It’s this focus on the human element that ensures our inspections go above and beyond just being compliant.